So you know how they always say to wear sunscreen every day to protect your skin from skin cancer and premature aging/sunspots? Yeah, well I don’t do that. In fact, I don’t really know anyone who actually does. It’s a good idea in theory but really, who wants to slap on sunscreen everyday, wait for it to dry, and then walk around with that gross smell all day? Now don’t get me wrong here, I believe in taking good care of your skin and body as much as anyone else but the hassle of applying sunscreen every day is a pain. Luckily, I found my solution. 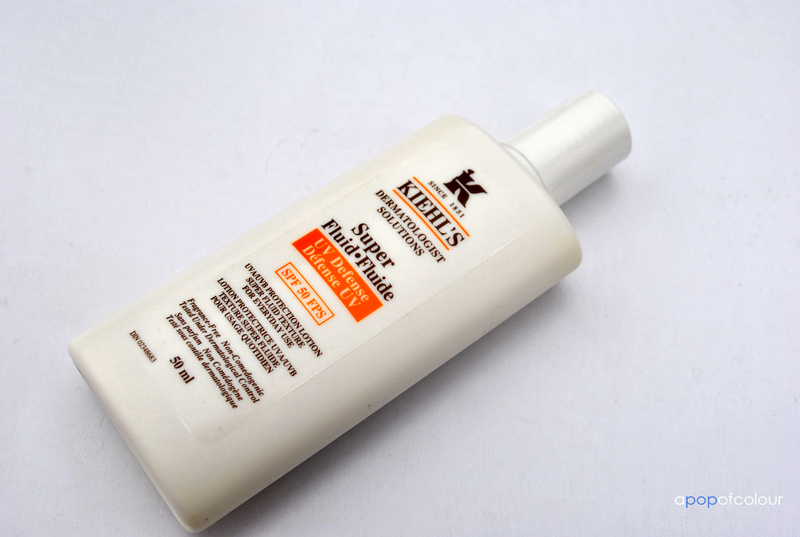 I got to try the Kiehl’s Super Fluid UV Defense SPF 50 lotion when I got a whole whack of Kiehl’s products a few weeks ago. Now, I can’t vouch for the rest of the body, but I apply this on my face after my moisturizer in the morning and it acts as a foundation primer, while at the same time protecting my skin from the sun. When the sales lady told me I could use it as a primer I pretty much fell in love. 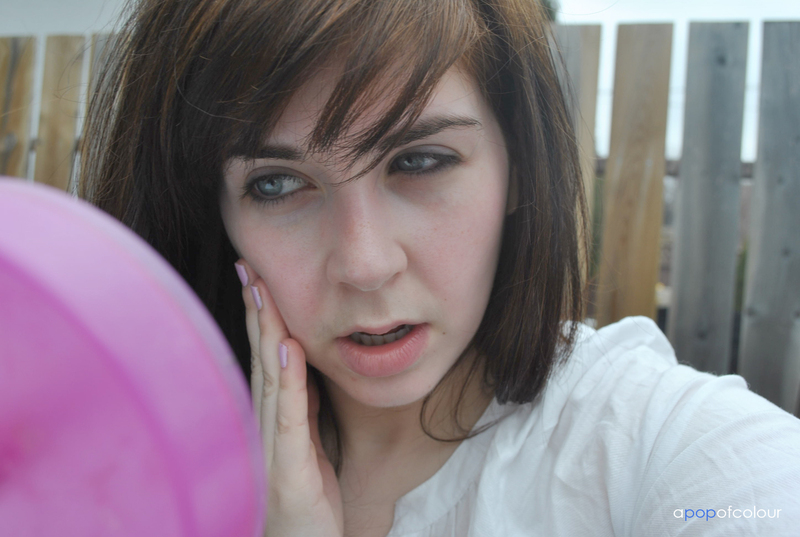 I mean, if I’m going to use a primer anyways, it may as well be something that has a high SPF right? Shake-shake away 90% of skin aging with this oil-free, lightweight facial sunscreen. Provides long lasting protection against damaging UVA and UVB rays, which can cause again, dark spots, freckles and skin darkening. Water-resistant and recommended for daily use after your moisturizer or under make-up application. I got the 50 ml bottle of this (also comes in a 125 ml size) and it retails for C$36, which sounds like a lot of money, but when you think about how pricey some foundation primers are out there (Laura Mercier’s foundation primer is C$40 and Smashbox Photo Finish Foundation Primer with SPF 15 is C$50) it’s really not that bad. And you are getting something with a high SPF factor in it. 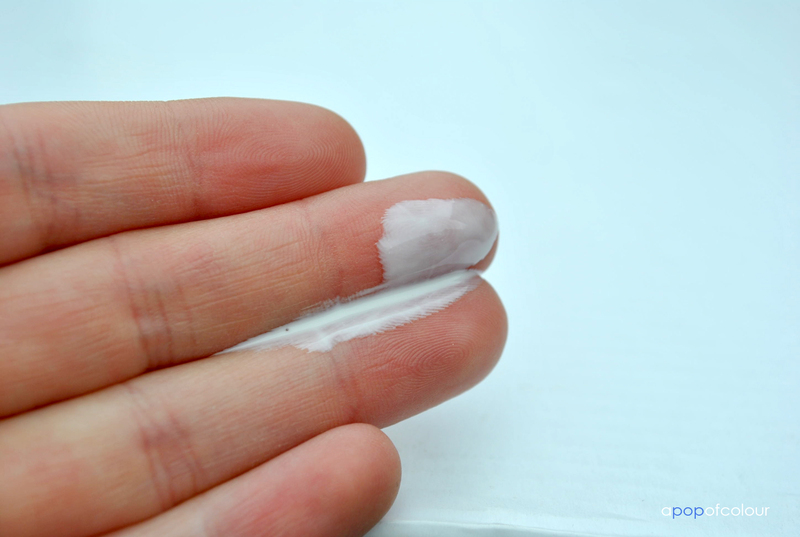 The product is quite runny when you squeeze it out of the bottle so I find that I have to work fast with it otherwise it will get all over my hands. I usually squirt a dime-sized amount on my fingers to cover my entire face. Also, considering that it is a sunscreen, it goes on sheer, not white, unlike other sunscreens out there. So would I recommend this product? Yes, absolutely! I think I have finally found my holy grail primer. Not only it is great for a base but you can use it as a sunscreen for the beach, pool, etc. This is definitely one of those products that have a variety of different uses, and although it’s a little pricey at first, I think that its well worth the money and I will be purchasing this again when it runs out. It’s also unisex; not just for women, so really anyone can use it. I'm wearing Bare Minerals Mineral Foundation over top of the Kiehl's Super Fluid. It provides a perfect foundation base. ** Please excuse my gross hair, I had a bad dye job recently and I'm currently growing it out. I swear it doesn't look this bad in real life. 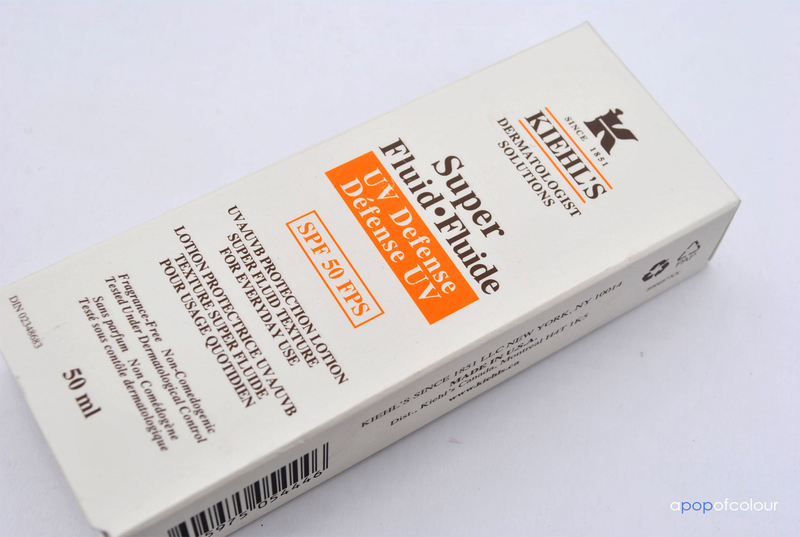 Have you tried Kiehl’s Super Fluid? If so, what were your thought? Also, what is your favourite foundation primer?